I had a lot of fun doing Ysolda’s Follow Your Arrow shawl mystery knit along (finished pictures below – if you’re still avoiding spoilers). I had never done one, and it was exciting to see what was coming next each week. I did pretty well staying up with the clues until the end, and it has taken me a while to get them finished. This is my first one. The second one might hibernate for a bit while I work on a few other things, but I am looking forward to getting back to it. I did clues BBABA for this one. 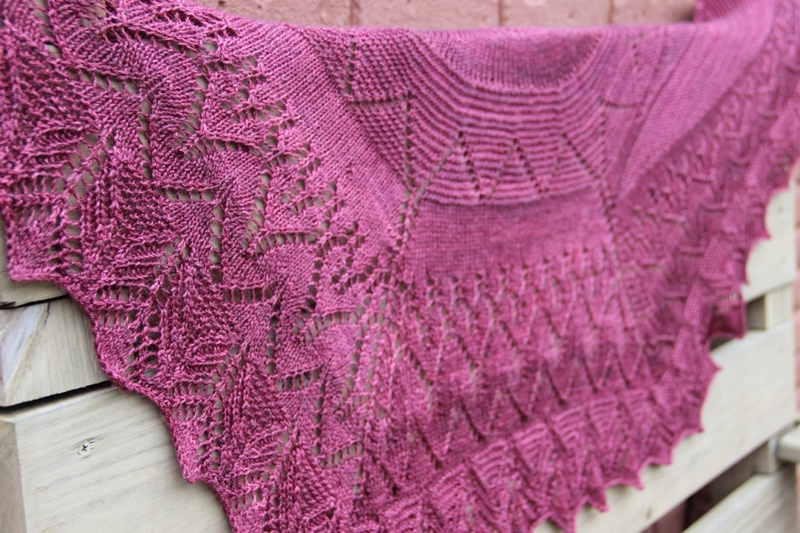 It is in Anzula Haiku – a Merino/Bamboo/Nylon blend. 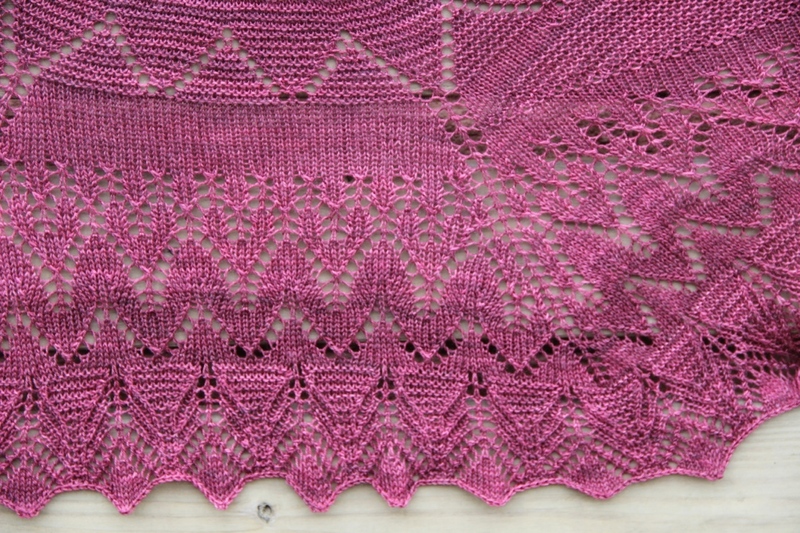 I am always amazed by the magic of blocking a lace item. You can see it here while it was still on the needles. It just bloomed so beautifully and has such a great drape. I’m still not great at pinning points so that they actually remain pointy. I need to work on that. It is also huge (in the best way!). This bench is an oversized bench for two people, and it drapes over it and still doesn’t show the full shawl. It wraps around my neck great and I know it will stay in place whichever way I wear it, which I was a bit concerned about after I did the short row part. I’m so excited to see how the second one turns out now! 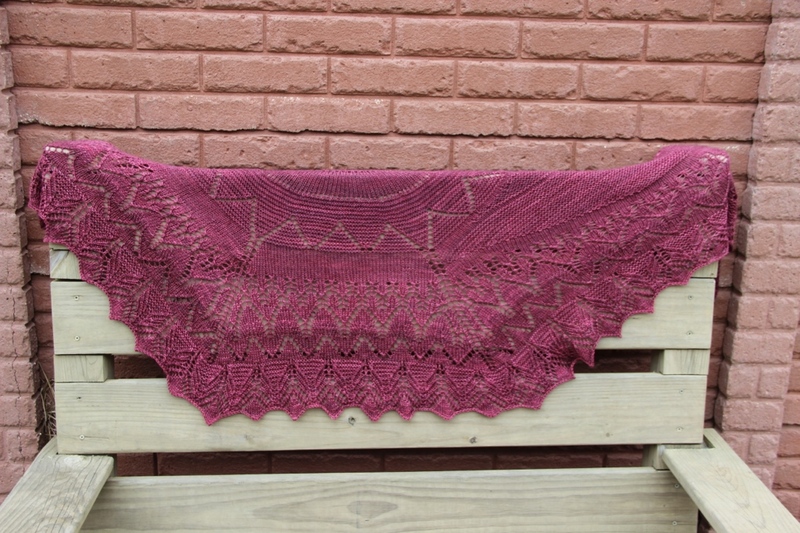 Tags: anzula, follow your arrow, knitting, ysolda. Bookmark the permalink. gorgeous. love the color too!